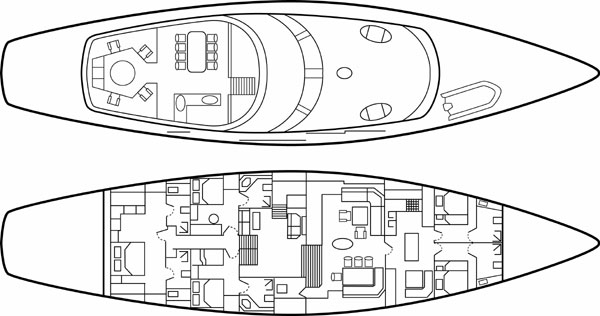 Tenders + toys: One Castoldi 460 jet tender 15ft with 125hp inboard diesel engine, one inflatable tender 3m with outboard engine, water skis, tubes, banana, snorkeling and fishing equipment. 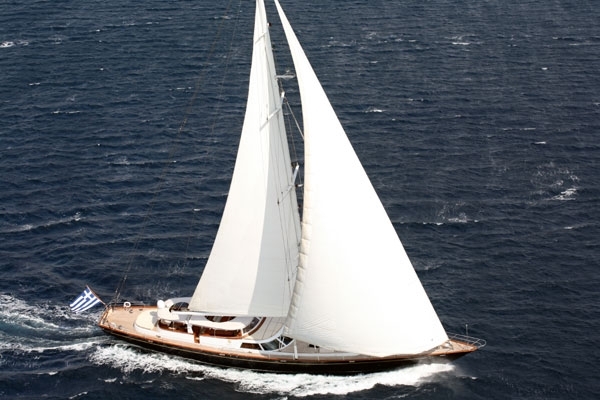 S/Y Gitana; the 118 ft result of the world renowned Perini Navi. 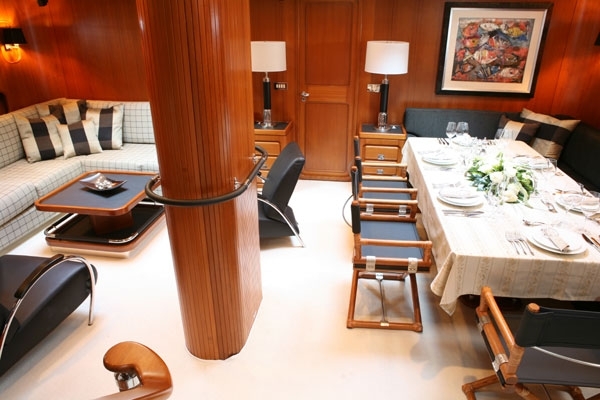 This classic and elegant sailing yacht is simply perfect for the wonderful, relaxing and memorable holiday that everyone is looking for. 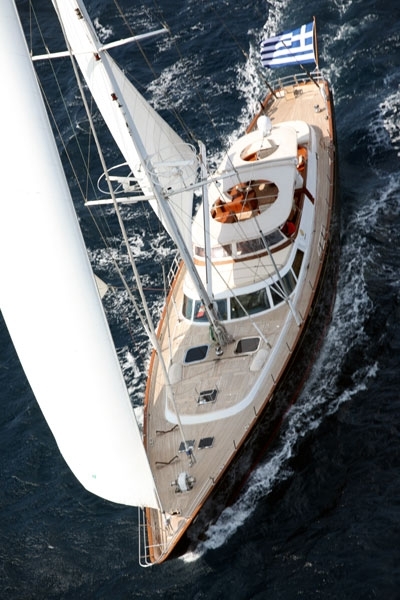 Stepping on board s/y Gitana you immediately experience a sense of freedom. She is beautifully crafted in rich wood contrasted by dark leather. 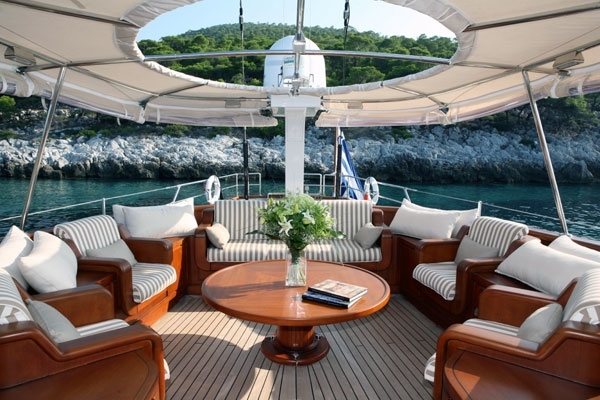 With her vast wooden deck space you are never short of a beautiful spot where you can take in the summer sunshine or simply take in the breathtaking landscapes that you will undoubtedly see. 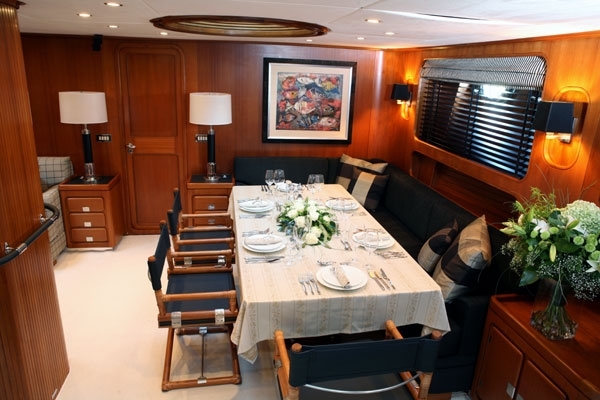 Have breakfast under the shade of the large bimini, enjoy a BBQ at sunset or enjoy an evening drink in the outdoor salon. Watch a movie on the 42'' flat screen TV with home cinema system & karaoke which rises and declines from a wooden cabinet just opposite the outdoor salon. There is also a CD/I-Pod sound system. The comfortable and cozy outdoor salon is the perfect place for relaxing, enjoying tranquility and serenity or socializing with friends. 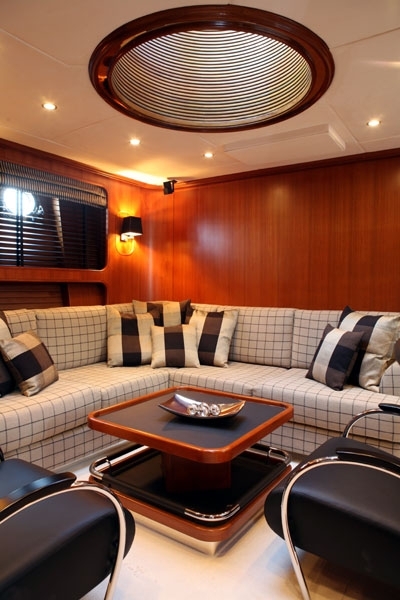 Passing the seating area you come to the outdoor dining area which comfortable seats nine people on a sofa and chairs. The table opens to create more space whilst you enjoy al fresco dining. 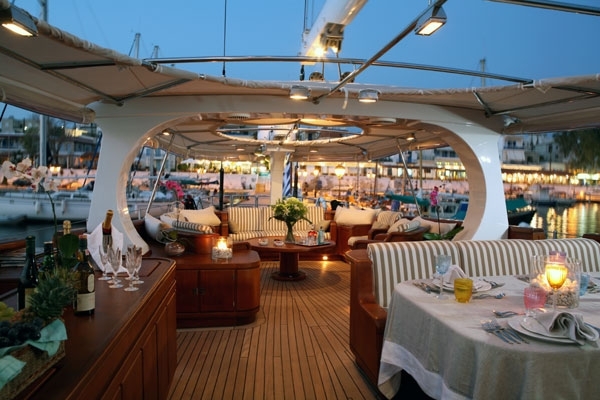 This well equipped deck space ensures that all your needs are tended to whilst you enjoy the beautiful and fresh outdoors on board. 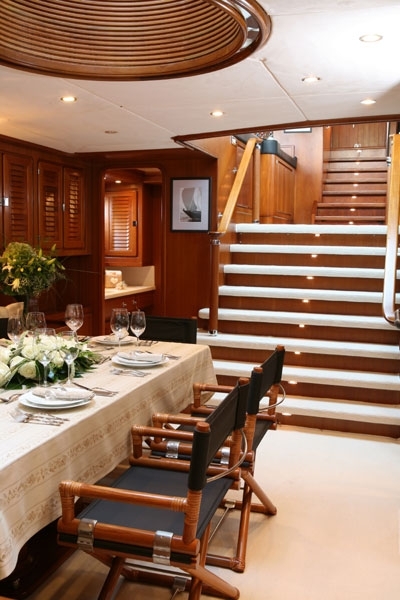 Behind the dining area you find yourself at the helm and on the right of the helm, the stairs leading you inside the yacht. 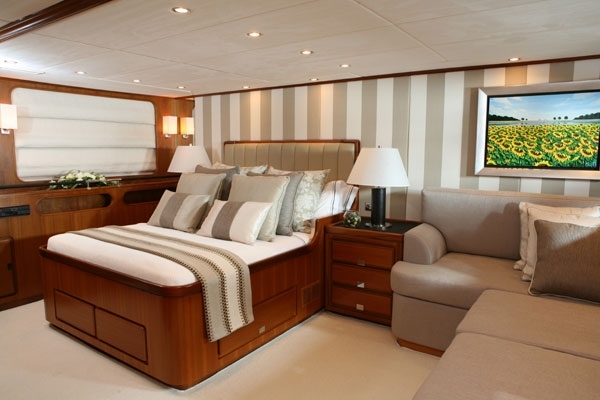 The full beam master cabin has a queen size bed, sofa, flat screen TV with DVD/CD full home cinema system and 'his' and 'hers' separate en-suite facilities. 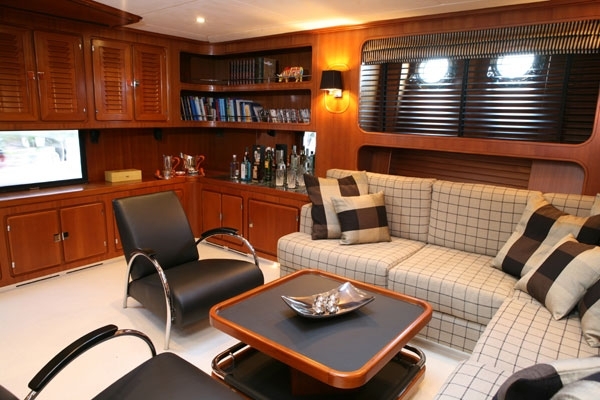 The VIP cabin has a double bed, a Pullman Berth, sofa, flat screen TV and en-suite facilities. The Guest cabin has a double bed, a single bed, a Pullman Berth, flat screen TV with X-box games system and en-suite facilities. 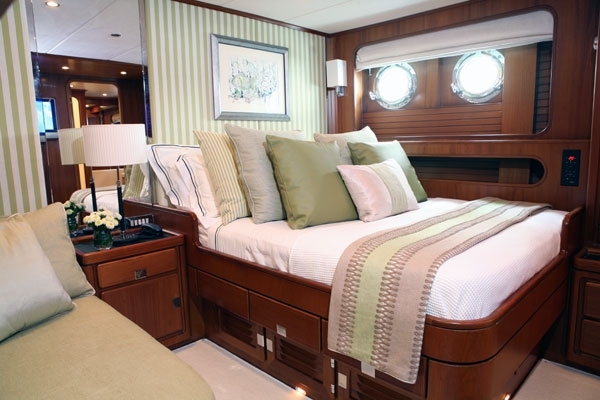 All cabins have individually controlled air-conditioning, full Satellite TV programs and CD/DVD player. There are two sun bathing areas, fore and aft, with comfortable mattresses. 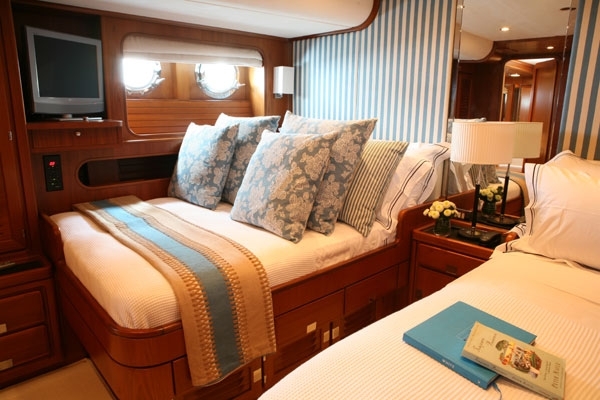 These areas allow for privacy or sunbathing with company; all desires are truly met on board S/Y Gitana. 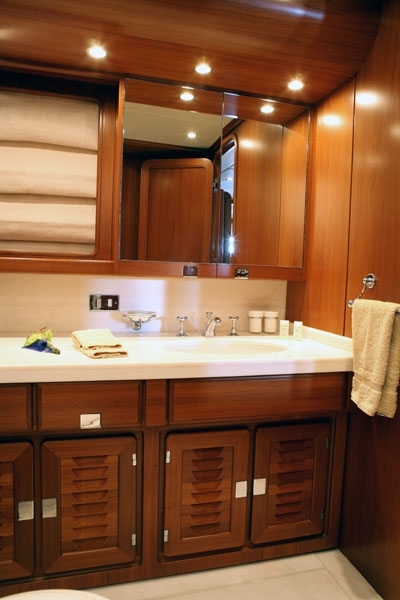 The hydraulic swimming platform allows for easy access to and from sea and there is a wide range of water toys on board ensuring that there is undoubtedly something for everyone. 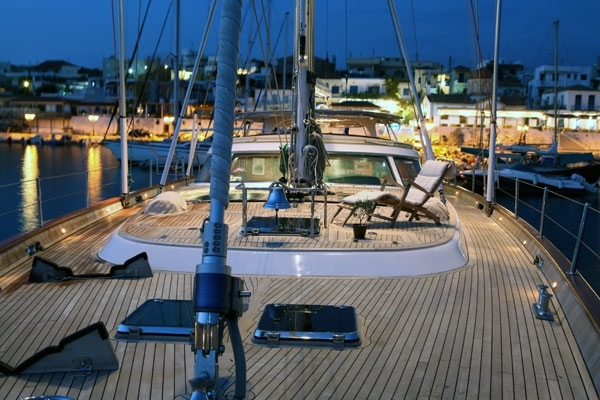 Whether you crave atmospheric and peaceful evenings with friends, active and exciting days frolicking in the sea and sun, quiet family time or nights spent entertaining guests and friends, s/y Gitana provides an all round ultimate sailing experience.